Which Fairy Tail member suffered the most (physically) in their individual battles out of the Eclipse Celestial Spirits Arc? Are anda on the final season of Fairy Tail? 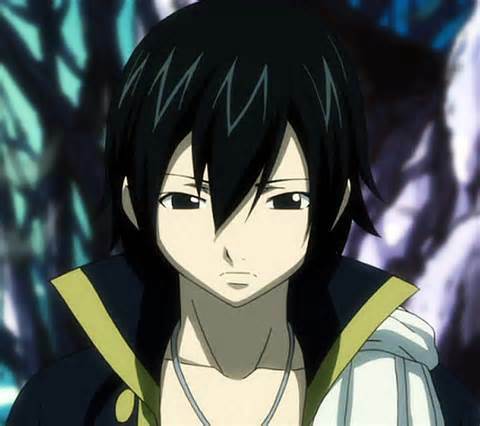 Do anda think there is an edolas Zeref since there is an edolas Natsu? Despite being the show's main bintang Lucy doesn't seem to be the show's most populer charactes. Natsu, Erza, and a few other characters tend to be lebih liked oleh the fans. Of course fan can dislike and like who they want, but I personally think that Lucy is the best character in Fairy Tail. Fairy Tail creator Hiro Mashima's staff already celebrated the completion of the komik jepang oleh giving Mashima a commemorative glass trophy earlier this month. Now, it's Mashima's turn to mark the series' conclusion. The final chapter of Fairy Tail debuted in this year's 34th issue of Kodansha's Weekly Shōnen Magazine on Wednesday. To add to the end of the Fairy Tail komik jepang series, the creator Hiro Mashima reveals on his twitter account that the final season of he series will be adapted into an anime which will return in 2018. Mashima even went as far as to post two tweets, one in Japanese, and the selanjutnya in English. Nothing apart from the tweet has been revealed. Except that it will be based off the final arc which we’ve seen in the komik jepang series, fights between the Alvarez Kingdom, Fairy Tail and Acnologia. komik jepang penulis Hiro Mashima has announced on his Twitter account on Friday that the final TV anime series of Fairy Tail will air in 2018. The komik jepang will publikasi its final chapter on July 26. Fairy Tail is a populer anime tampil that's very good. The tampil has several good characters. This daftar is about the characters that I like the most. Hello, FT. This artikel shows anonymous confessions worldwide shared on Tumblr's Fairy Tail Confessions, and the purpose is to bring fan of this series closer and bond into a stronger community. These confessions are part of the shipping edition! Do not spread hate, and remember to keep an open mind to know that these are anonymous confession made oleh global fan (and not me)! Once again, I give credits to Fairy Tail Confession on Tumblr. Thank you.